The following article, We are explaining comprehend used of Dependency Injection . Dependency injection provides an allegiant solution to tight coupling problem. The way it is actually implemented in code had fundamental level is to program against an interface rather than concurrent implementation. If a java class creates an instance of another class via the new operator, then it cannot be used and tested independently from that class and is called a hard dependency. We can see here, we have defined an interface called data, In that interface we have two methods getData() and saveData(). We call these methods we don’t need to worry about where the data comes from. We have simply using the interface to request the data. It is upon the low-level class like network class to implement the data interface and get our data with this in a mind implementation detail can change. But we can only change the code from low-level classes than implement the interface. So we have established here that is to better interfaces rather than concurrent classes. For this toward effectively we need to dependency are able to get what the need at runtime. One of the major advantages of dependency injection is that make testing very easy. Suppose you have an object which does something like this init constructor which is to get an object instance by calling a factory. This can be troublesome some when all we want to do is run unit test on our class called OfferManager, especially if the getOneBuyOne something does network access. So Now, We are looking at mocking getOneBuyOne object but also somehow also intercepting factory call, this is quite awkward or cumbersome instead we pass the object an argument to the constructor. Now we have the problem elsewhere but testing can become a lot easier. To run a test you just create a demo offer object and pass that in. The constructor will look now little bit like test which except argument of offer object. Any application that composed many object that collaborate each other to perform some useful stuff. Traditionally each object is responsible for obtaining to own references to the depended object. This lead to highly couple classes and hard to test code. Then what does Dependency Injection do for us? When using Dependency Injection object are given there dependencies are runtime rather than compile time. So that now we can change the offer object whenever we want. here the SpecialOffer object injected at runtime. Dagger2 is dependency injection framework. It’s provides an allegiant solution to tight coupling problem. It based on the on the Java Specification Request. It uses code generation on based on annotations. Provider:- classes with annotated with @Module is responsible for providing an object which can be injected. Connector:- A @Component annotated interface defines the connection between the provider and consumer. 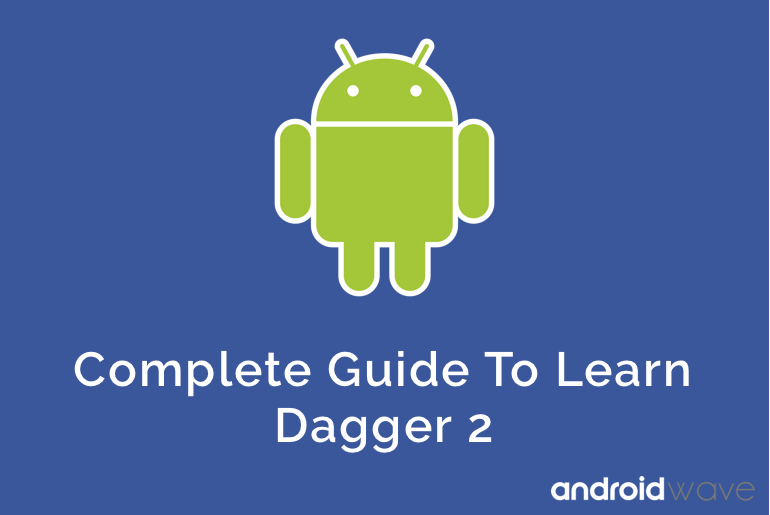 Now we will demonstrate how to implement dependency injection using Dagger2 in Android. You have to follow the following steps to setup dependency injection in own project . We will open the Android Studio and will open app module build.gradle add implementation in dependencies and just click on sync now. This is where dagger keep will keep track of the dependencies. It must be annotated with @Module. So dagger knows this is a module. Later on, we will create module every feature we build. In such module Dagger will look for variable methods and possible instance provider. The methods that exposed the available return type should also be annotated with @Provides decorators. The @Singleton annotation also signals to Dagger compiler that the instance should be created only once in the application. For example, we are specifying the context that uses singleton annotations that can be part of the dependency list. We need to create an application component where dagger knows where to inject dependency to. In Dagger2 injected class called components. These components assign references in our activity, services, and fragments to have access to the singleton which we are already defined. We need to define an application object, where dagger will live through-out the entire life spends in the application. We should do all this job within application class since the instead declared only once. Just create a class which extends application components and add below code. You are seeing we will overriding onCreate methods here, where will be the component will be instantiated by dagger. We also defined public getComponent() methods which will return AppComponent instance. You notice these methods is highlighted with red with some compilation error. So In dagger, we have to define every module, we have in app. Latter on we may have app module or other feature module . right now we have only app module. You have to set application name in AndroidManifest for initialising dagger components. Now we can inject into activity a context. As you see in an onCreate() methods we need to define this injection, so that dagger components interface we will be used. Notice we are cast getApplication() to our App class. So now we get dagger component and inject activity.